Take Daenerys Targaryen with you everywhere you go! With this Game of Thrones Daenerys Targaryen Pop! 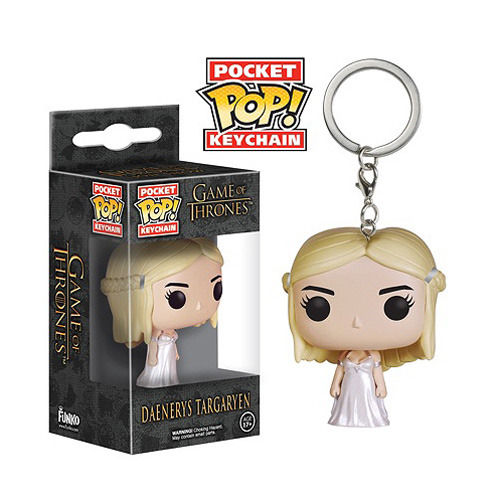 Vinyl Figure Key Chain, you'll get your favorite fun rendering of Daenerys in her iconic Pop! Vinyl Figure styling, but shrunken down and made for your keys! Daenerys Targaryen measures 1 1/2-inches tall and comes on a key ring. Ages 17 and up.